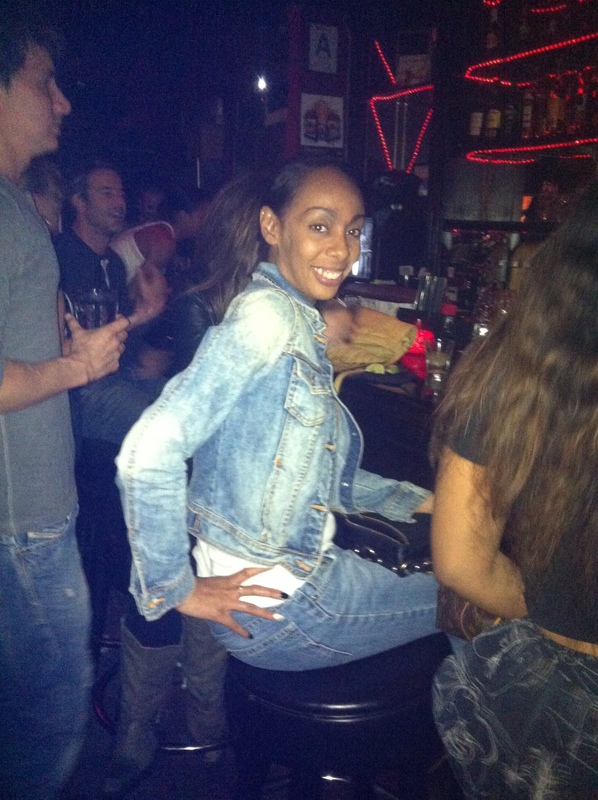 Last week, while out celebrating Obama’s reelection, I met Amira Day at my favorite watering hole, The Dime on Fairfax in Los Angeles. Amira is seen here in a Zara jacket, Marc Jacobs tank and H&M jeans. This entry was posted on Monday, November 12th, 2012 at 6:51 pm	and tagged with Barack Obama, Canadian Tuxedo, Denim, Denim on Denim, double denim, election 2012, H&M, Los Angeles, Marc Jacobs, reelection, The Dime, Zara and posted in In The Wild. You can follow any responses to this entry through the RSS 2.0 feed.